Created by AlexG. 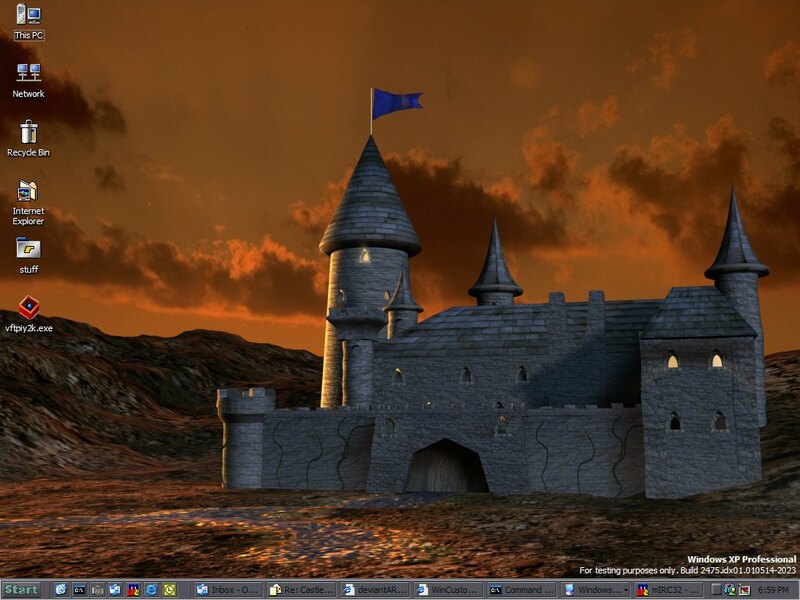 This is the first example of DesktopX's power to be used to provide animated wallpaper. Because of the way DesktopX is optimized, the graphics are compressed in memory (thus it uses less memory than a regular wallpaper would likely use) and its animation optimizations mean it uses hardly any CPU (1% on my system). Update: Now has animated torches and other effects. more details and more animations!! what resolution do i use? Awesome!! Coolest wallpaper I've ever seen!! where kann i find a tutorial to make this?